Europe's latest rescue fund cleared a major hurdle Wednesday after a high court in Germany refused a request to block its ratification. The ruling means German President Joachim Gauck will be able to sign legislation backing the ESM treaty, which was passed by the parliament in June. However, the court decided that Germany's €190 billion contribution to the fund cannot be increased without the consent of the German ESM representative. It also affirmed the rights of the German parliament to be consulted on how Germany's contribution to the fund is spent. German Chancellor Angela Merkel welcomed the court's decision, saying "it is a good day for Germany, it is a good day for Europe." The ruling brought relief to most global financial markets. Stocks in Germany rose 2%, while U.S. markets were headed for early gains. The ESM is a key component of the "breakthrough" agreement that European Union leaders announced in June to help stabilize the euro currency union. It is also an important part of new bond buying program announced last week by the European Central Bank. The ruling represents "another big step towards defusing the euro crisis," said Holger Schmieding, senior economist at Berenberg Bank. However, "the euro crisis is not over yet," he added. "It comes in waves. Grave risks are still ahead." Spain is widely seen as the most likely to request support from one of the bailout funds, which is a prerequisite for the ECB's new bond buying program. But Prime Minister Mariano Rajoy has been reluctant to commit to a formal program of economic reforms and outside surveillance. Italy stands to benefit indirectly since many investors see Spain as a potential threat to the stability of Italy's €1 trillion bond market. The court's decision is preliminary, with a final ruling on the legality of the ESM treaty expected later this year. But analysts say the court's president has made it clear that the final ruling will not deviate from Wednesday's announcement. Timo Klien, an economist at IHS Global Insight in Frankfurt, said the court will need to decide whether the ECB's bond buying program circumvents the cap on Germany's contribution to the ESM. "This part may still entail risks for financial markets," he said. 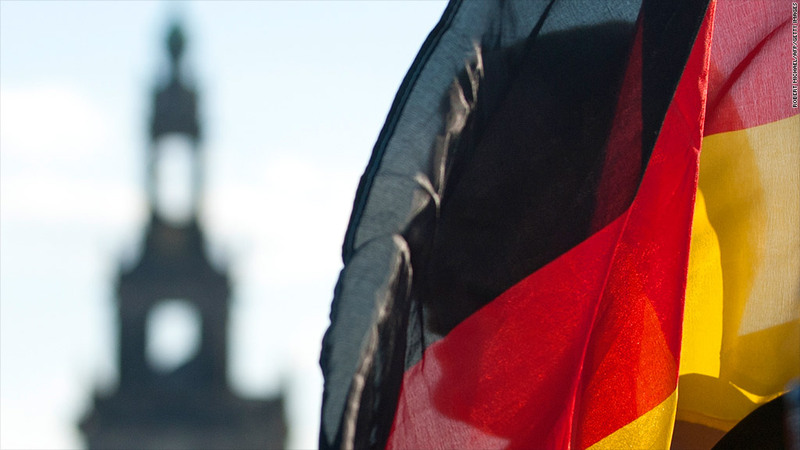 In addition, the court's decision to restrict Germany's contribution represents an "implicit rejection" of plans to boost the firepower of the ESM by granting it a banking license, according to Schmieding. "Germany cannot allow the ESM to leverage itself up so that the potential German maximum liability could exceed the cap," he wrote in an email.